Town hall station is a beautiful, heritage listed train station located in Sydney’s CBD. This central station is a popular method of transportation and many people live and work near this destination. Because of this, many seek services that are offered near the station in order to fit everything into their busy schedules. Finding a hairdresser near town hall station that is professional and offers a wide variety of services doesn’t have to be hard. There are steps that can be taken, and things to look out for when seeking a salon close to home. It is important to establish what kind of services are offered, to get a rough estimate of prices and meet the staff personally. Our professional salon near town hall easily display what products are used, what the prices are, client testimonials, what services we offer as well as our contact details. It is also important to take a look at our stores hours and we can confirm our staff speak a second language if that is needed by some clients. Looking at Google reviews is also a great way to find out if previous clients are happy with our salon. These days there are several different services that can be provided at our salon. When searching for a hairdresser near town hall station, it is important to find one that offers a variety. Dry cutting is a widely trending technique that is used by salons all around the world. The cut is performed on completely dry hair and allows the stylist to see exactly how the style is going to look when dry (as opposed to wet which can change). Because of this, a stylist can create a completely unique look that is tailored to the client. This is also popular because the cut can last for longer, as it looks better for longer. This method works by applying a solution to the hair which changes the bonds in the strands that cause curls and waves. These bonds then become straight with the help of a hair iron. This takes a few hours to complete and treatments can last for up to six months. Again, it is important to always seek treatment from a professional when there are chemicals involved. This method is very similar to the Japanese hair straightening method. This works by also applying solutions which change the bonds in strands but instead makes them wavy and curly. This is done by wrapping the hair around a hot rod rather than using a straightening iron. This method can work for up to a year and takes around three hours to complete in the salon. The Japanese air wave perm is a popular method for those who have thin, soft and flat hair. Air wave uses the power of air to alter temperature and moisture levels in hair and produces a wonderfully textured result. Soft bouncy waves can be created, and a fluffier look can be obtained. When finding the perfect salon, it can be a great benefit to find one that offers Japanese air wave. Henna (herbal treatment) is a natural colorant and strengthener that works without the use of chemicals. Many people who are health conscious opt for this treatment as henna can help repair damaged hair as well as cover greys. There is a variety of colours that can be used by mixing the henna with other natural properties, so all types get to enjoy the benefits of this treatment. Micro mist is a special hair treatment that deeply conditions the strands. Many people love this method because of how silky and smooth their hair feels afterwards. An advanced conditioning treatment machine uses the power of water mist to blend a conditioning treatment into the hair. This method can only be found in a professional salon because of the technology used and is an important option to have when finding a regular salon. What else makes a great salon? A salon can have the best stylists in the world but without amazing customer service, this is all for nothing. A great salon will treat their customers with respect, professionalism, and kindness. 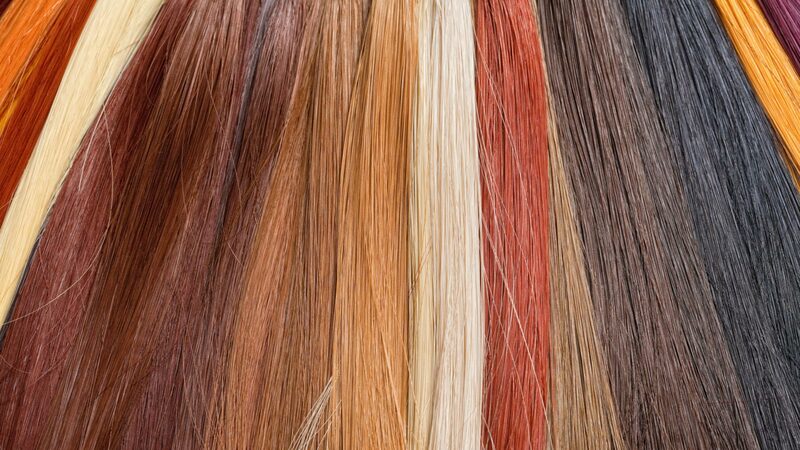 Good stylists understand how important hair is to individuals and know that it is an extension of their personality. Visiting a salon to meet the staff before booking a treatment is a great way to get a feel for the staff and ensure that they are friendly and helpful. Cluttered and overcrowded salons can leave clients feeling stuff and overwhelmed. It is important to find a store that is spacious, relaxing and acts more as a getaway rather than a monthly chore. A great salon will have plenty of chairs that have space between them, will have a comfortable waiting area and will offer soothing music and lighting. While choosing the cheapest salon possible may not be the best option, it is still important to find a store that offers competitive prices. Elite salons may be completely unattainable and scare clients away. It is a good idea to find a hairdresser that has a price range around the middle. Not too cheap and not overly expensive. This way clients can enjoy exceptional service without having to worry that they are going to break the bank. As with any business, the reviews and feedback speak for itself. A great salon will have many happy customers that return again and again. Clients that are extremely happy will spread the word to their friends and family, so when it comes time to choosing the best salon, chatting with a loved one may be the best way to find a store that provides an excellent service that is sure to impress. If you would like to make an appointment at our hair salon near Town Hall, please feel free to give us a call on (02) 9267 4882 and one of our highly trained stylists can discuss treatment options with you.